We’d love your help. Let us know what’s wrong with this preview of The Lost Ones by Carl Lakeland. The Fall Wars has caused the collapse of human civilization. Written into legend; the USS John Steinbeck was lost with all hands. Nobody could've known the United States Flagship became wrecked in Antarctica. Now, with the nuclear reactor dying, and electricity dwindling, the horror of lasting through winter settles heavily on their minds. The survival of the descendants o The Fall Wars has caused the collapse of human civilization. Written into legend; the USS John Steinbeck was lost with all hands. Nobody could've known the United States Flagship became wrecked in Antarctica. To ask other readers questions about The Lost Ones, please sign up. The Lost Ones is a book that would leave a deep and everlasting impact on you. It would make you think that you take life so much for granted and still is unhappy with many unimportant everyday concerns when things could be so awful that people would beg for death and release from life. The story started on a dark note and the darkness increased by each passing day. The reader is confronted by a suicide victim who is taken away for his funeral wrapped in seal skin. The man had earlier killed his The Lost Ones is a book that would leave a deep and everlasting impact on you. It would make you think that you take life so much for granted and still is unhappy with many unimportant everyday concerns when things could be so awful that people would beg for death and release from life. The story started on a dark note and the darkness increased by each passing day. The reader is confronted by a suicide victim who is taken away for his funeral wrapped in seal skin. The man had earlier killed his wife and kids before taking on his own life, because, he was not prepared to live in six-months of continuous darkness with no heat, light, or electricity. In this dismal scenario, one young man makes an ambitious journey to escape from this hell land, only to fall into a greater pit and lose everything that he has got. In a post-apocalyptic world, where so many have perished and been lost, we are treated to the story of those, aboard the USS John Steinbeck who have survived against all the horrible and harsh odds. But now, their nuclear fuel is running low and the people who live on the ship, the descendants of the original sailors, have to make a hard decision regarding their survival in this new world. One man, Richard, wants to save his family and sets his sights and mind on Australia. But will he even find In a post-apocalyptic world, where so many have perished and been lost, we are treated to the story of those, aboard the USS John Steinbeck who have survived against all the horrible and harsh odds. But now, their nuclear fuel is running low and the people who live on the ship, the descendants of the original sailors, have to make a hard decision regarding their survival in this new world. One man, Richard, wants to save his family and sets his sights and mind on Australia. But will he even find it? Has the world changed too much from what he was told in the stories? Or will he find salvation for himself, his family and the crew? This is the third book in a series, I did not read the first two, but it did not detract from the story in this book. The author gave enough background on what happened to the world that I had no problems following the stories. Richard is a brave albeit a bit naïve main character, he blindly accepts the stories that he was told/has read, but he was not a bad person. The characters and the world were well thought out and it showed in the writing. A grand adventure of survival and hope. 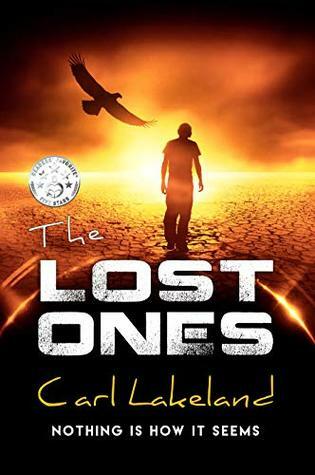 Carl Lakeland pens an impressive dystopian tale in The Lost Ones. This is a thriller fiction themed story, centered in Richard Gabriel, our hero that comes up with a plan to save his family in a post-war world. They need to escape the South Pole and reach Australia but many dangers are peeking and the human race is in a fight for survival. The story delves into a dystopian reality, where the ones who survived in that ship are afraid of what they may find once (or if) they are able to leave the So Carl Lakeland pens an impressive dystopian tale in The Lost Ones. This is a thriller fiction themed story, centered in Richard Gabriel, our hero that comes up with a plan to save his family in a post-war world. They need to escape the South Pole and reach Australia but many dangers are peeking and the human race is in a fight for survival. There certainly is no overcrowding on the USS John Steinbeck that had been stuck in the Antarctica for maybe over a hundred years. The survivors are the adult children of the original sailors but now they are going to face complete black out and murder because the reactor that supplies them with electricity is losing its power. Their small world is extremely cold and lacks many basic amenities and they know they will not survive the next 6 months of harsh winter. Richard and his brother come up with a plan to escape which goes so wrong and takes them into another story and a whole lot of adventure. There is divinity on so many levels and other parallels to the world of the Lost Ones and to our current society that cause you to reflect on them. The writing is quick and holds you in suspense. Apparently this is book three in a series but that does not detract from the understanding you will get within these pages. Carl Lakeland lives on a property with his wife in the sleepy town of Snake Valley, 36 kilometres south west of Ballarat in Australia. Lakeland grew up during the early seventies, western suburbs of Sydney. Having enlisted into the military at the age of seventeen, he draws on his experience to create powerful and engaging speculative fiction. “Sometimes, I can’t let things be,” says Lakeland. “I Carl Lakeland lives on a property with his wife in the sleepy town of Snake Valley, 36 kilometres south west of Ballarat in Australia. Lakeland grew up during the early seventies, western suburbs of Sydney. Having enlisted into the military at the age of seventeen, he draws on his experience to create powerful and engaging speculative fiction.